Chennai: A sum of Rs 8,958.25 lakh has been sanctioned by the Tamil Nadu government to provide fire-fighting equipment to government hospitals in the state, the Madras High Court was informed. This was stated in a counter-affidavit by the state health secretary on a public interest litigation (PIL) petition seeking to make mandatory ramps from the top-most floor to the ground floor of hospitals for easy rescue of patients in case of a fire. The first bench comprising Chief Justice Indira Banerjee and Justice PT Asha on Friday adjourned a PIL by Jawahar Shanmgum to July 30. When the matter came up, a counter affidavit was filed to give details on the firefighting arrangements that were made in 34 government medical college hospitals and institutions at a cost of Rs 3,703.42 lakh. The affidavit said the facility would also be introduced in the Institute of Child Health and Hospital, Institute of Obstetrics and Gynaecology and the Government Hospital for Women and Children, all in Chennai, at a cost of Rs 410 lakh. It also said a total of Rs 1,630.58 lakh was sanctioned for providing ramp facilities and Rs 2,736.84 lakh was allotted for provision of generator rooms in 19 government hospitals. The affidavit said out of 4,141 hospitals in the state, 1,215 hospitals were one-storeyed and 1,170 hospitals two-storeyed. 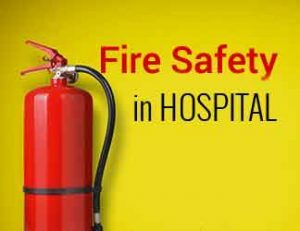 A total of 1,877 hospitals had valid fire safety licences, 1,400 had no valid fire safety licences, 3,808 have fire safety plan and 2,023 have no such plan, the court was informed.